Listen again to an abridged version of the show featuring live music by The Appaloosas here. On Monday 18th March on Roots and Shoots a band called The Appaloosas came to the studio to play some live music and talk about their recently recorded eponimous album and this and that. The band are a trio made up of Eliza (vocals + guitar) and Peter Acty (banjo) together with Stephen Potter (fiddle). The music they play is from the Appalachian tradition in the USA. 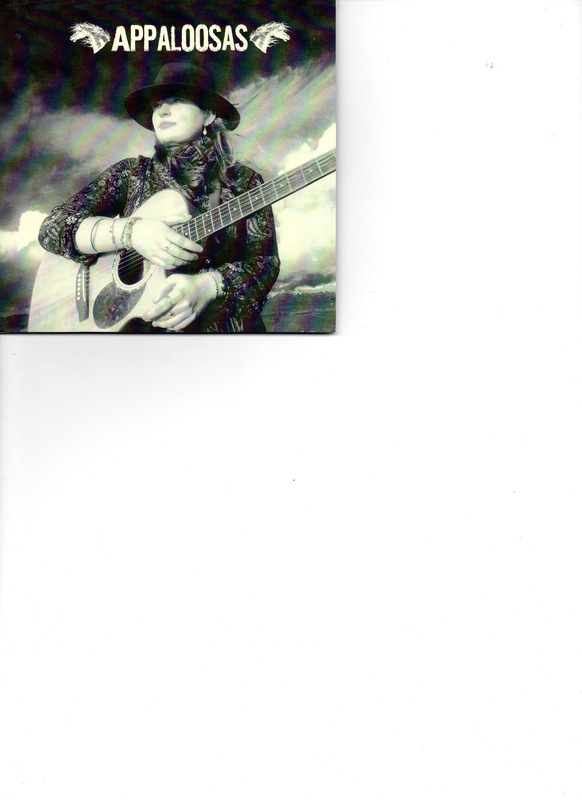 Eliza's voice was so evocative of the tradition and the guitar, fiddle and banjo kind of transported me to the Appalachian mountains. Wonderful music, beautifully performed. In the studio as well was Martin Hodge, who very kindly came in to balance the microphones, and Cecil to take photos & video. as well as Eliza's brother who also took photos and videos. Hoping to be able to put some up on this blog some time soon. I wanted to play more from the CD but our studio CD player wasn't having any of it. There will be more tracks played on future shows once I get the CD on my computer. 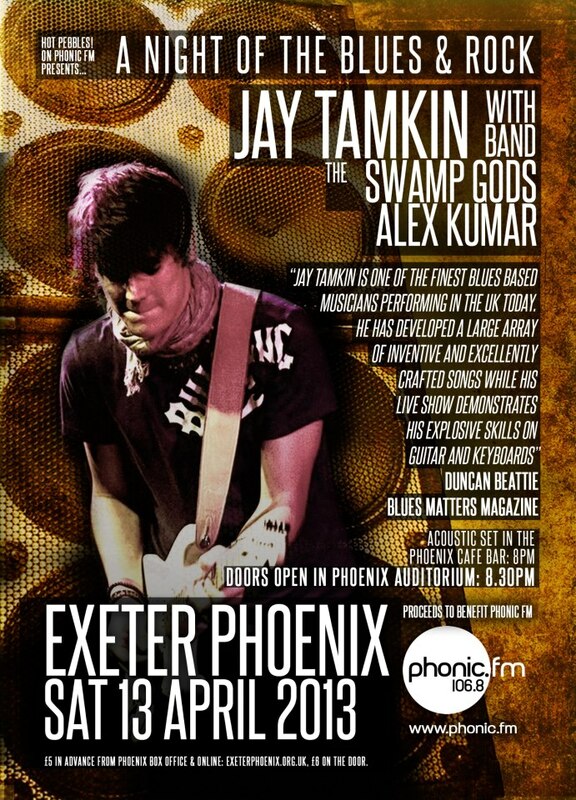 ...features on the What's On list for Exeter and was also amongst the selection on rootsandshoots this Monday 11 April 2013. Also, following the recent showing in Exeter of the documentary film Acoustic Routes I was inspired to feature the music of the legendary guitarist and singer Bert Jansch. Cole & Joe are on tour at the moment and have local gigs. Details here. Jay Tamkin is playing in concert for Phonic FM at Exeter Phoenix on Saturday 13 April along with Alex Kumar and The Swamp Gods. Full details here. 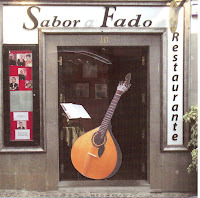 On a trip to Madiera, recently, I went to a Fado bar in Funchal called Sabo Fado. We went in, sat down and ordered a glass of wine. In a corner of the bar were 2 guitarists, one playing the Portuguese 12 string Guitar the other a regular 6 string. 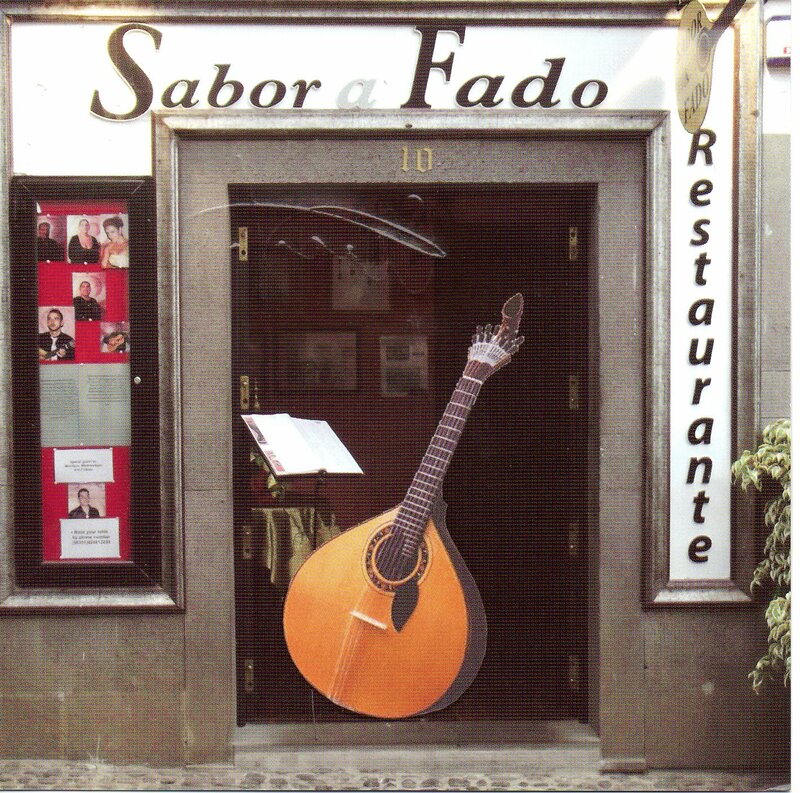 The first played the fado tunes and the other played rhythm. This went on for a couple of numbers and we all began to relax into the very laid back atmosphere. The third tune started and then, much to our surprise, all of a sudden the woman serving the drinks stopped wiping a table top and holding a bunch of dirty glasses started to sing in classic Fado style. Then after that the other 2 women at the bar joined in. Twas brilliant. All this carried on for the rest of the evening 'til chucking out time at 2am. They were all [part of the same family the two men guitarists were father and son, the women the mother, the sister and the wife of the younger Portuguese Guitarist, who had won a competition and was considered the beat Portuguease Guitarist in Madiera. Wonderful. I can recommend a visit to that particular hostelry, if you're ever in Fuchal - the old town centre near the port and cable car station. They had a CD for sale, which I bought of course and I played a track on the show. I'll be playing more from that in coming shows. Hope you like it. 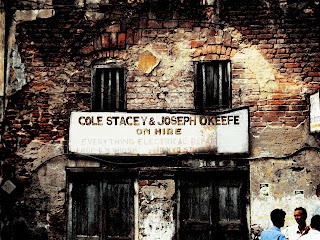 Ohm Suhaa ..Andrea Guzzaletti, Lao Kouyate & Sainkho Namtchylak.. Who Stole The Sky? Martin Hodge is presenting the show on Monday 11th March. 'm back on the18th with,all being well, local musician Steve Potter and his band playing live. All the best and keeep listening (sorry Bruce!) to Roots and Shoots on Phonic FM. 106.8fm in Exeter and www.phonic.fm worldwide.